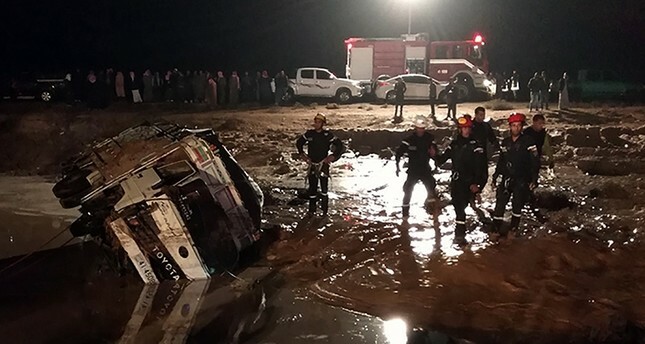 Flash floods caused by heavy rain across Jordan killed 11 people Friday and forced hundreds of tourists to seek higher ground in the kingdom's ancient city of Petra, government officials and official media said. The state news agency Petra initially quoted Ghuneimat as saying that four people were killed Friday. Hala Ahbar, a news site linked to Jordan's military, later quoted her as saying the death toll had risen to seven, but did not provide details.